All posts with Style "Bollywood"
Welcome back to Maharani Mridul's grand finale in the opulent country of India. 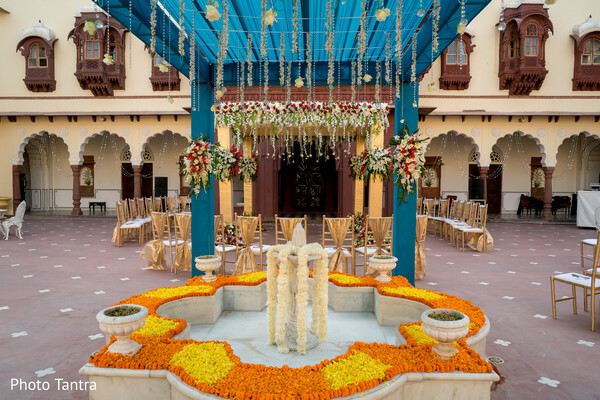 The palace doors were swinging at my one my favorite wedding venues to date as Mridul and Dev made their love debut. Stunning. And more stunning is the only words coming to mind right now because I am simply at a loss for words. 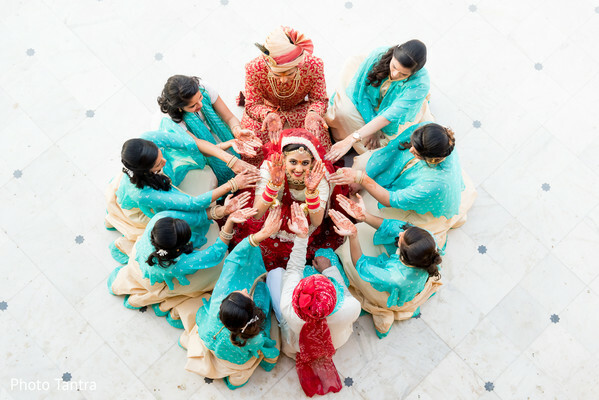 To the bride, Mridul, I think it's time for you to plan my own Indian wedding (anniversary) through BollyWed Dance because each image captured by Photo Tantra is sheer perfection. 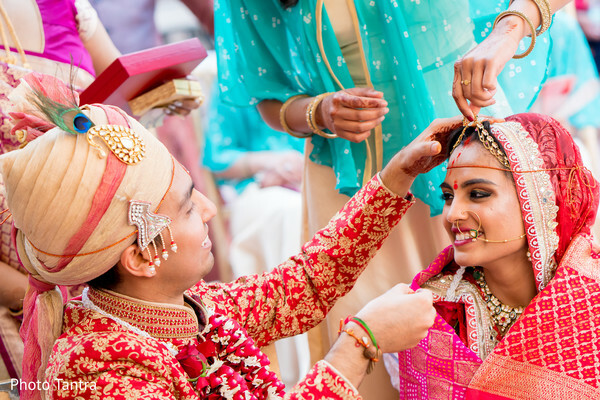 The talented photographer took the bride through a tour of India and captured all the lovely moments from behind the lens. 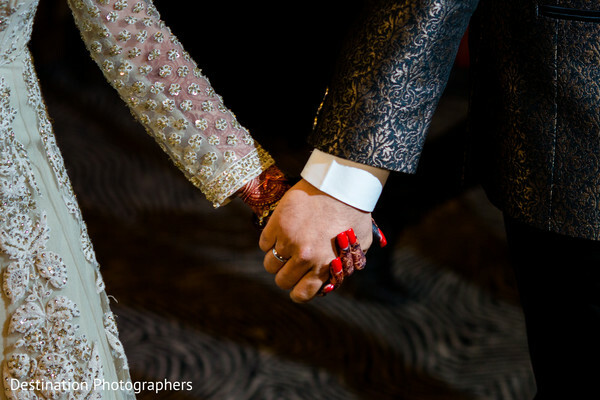 I love shots that are taken outside of the crazy atmosphere of Indian weddings and these cinematic photographs are making my day. In the gallery, you will find a cornucopia of fun just waiting for your perusal. 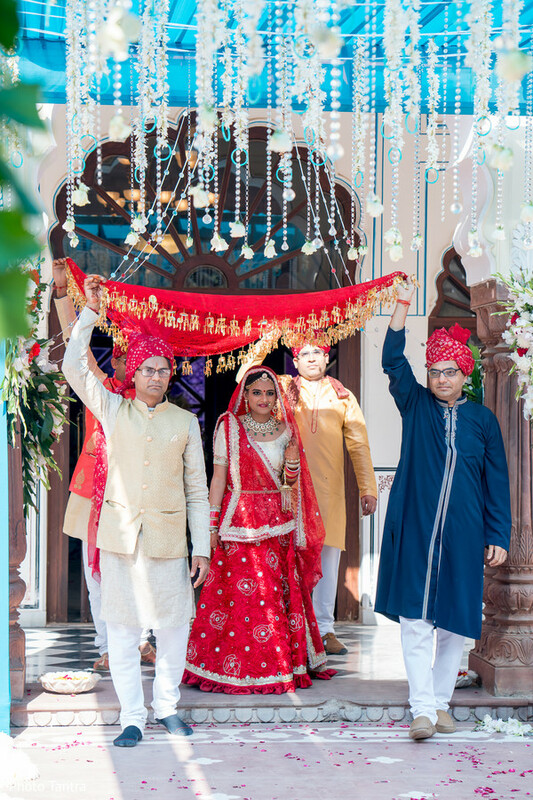 I will return bright and early tomorrow to dish out the deets of more stellar Indian weddings. See you then! BollyWed Dance is a member of the Platinum Guide. Love what you see? Explore their portfolios. 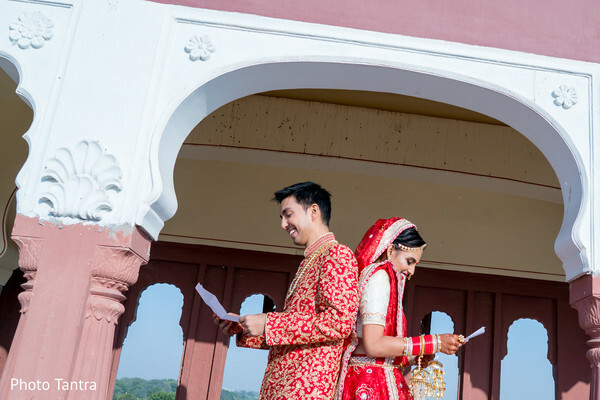 If I would have gotten an invite to Mridul and Dev's intricate and absolutely flawless wedding, I would tell you how blown away I was by all the personal details. Mridul walked down a flower lit aisle to the extravagant stage accompanied by premier décor that was surrounded by rose petals and lush flora and fauna. If my husband is reading, this is the way to my heart, honey! 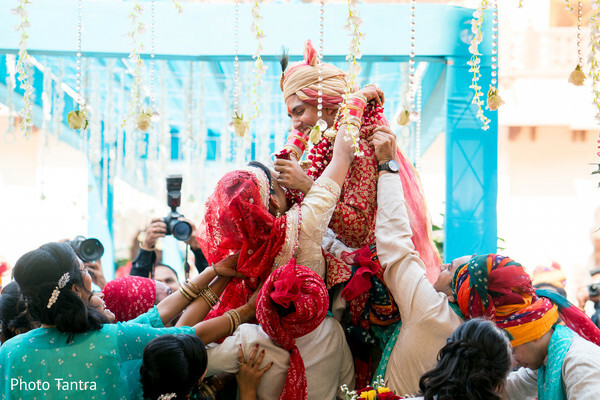 Take out your notebooks gals, this is one Indian wedding you are going to want to note for the future! I am partial to details and this bride’s attire and makeup glam was just simply perfect for all the heat radiating from my screen. 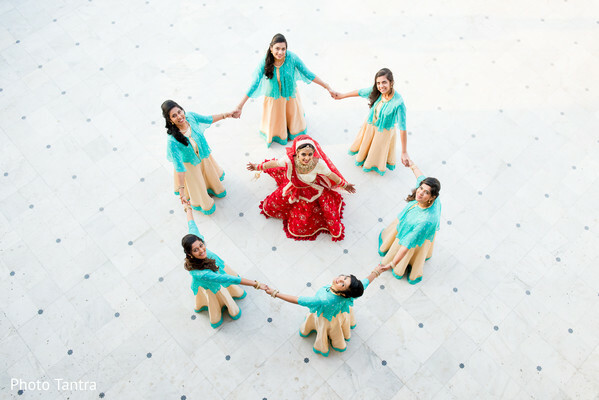 Planned and designed by the bride herself through her company BollyWed Dance, you are in for quite the treat. The images tucked away in our gallery shot by Photo Tantra helps me paint the picture of a love tale that is truly one for the ages. I will have some dazzling shots of the bride and groom and India as an added bonus coming right up! Happy Thursday, Maharanis! 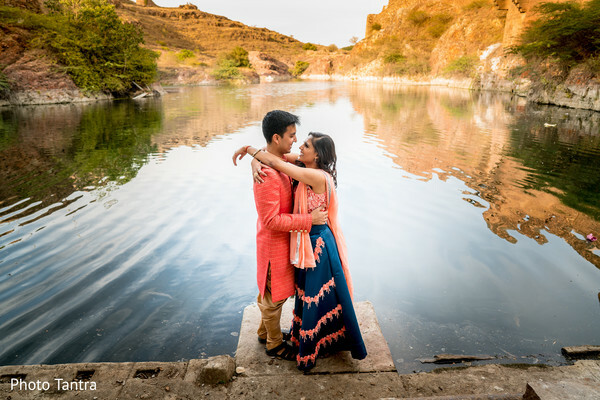 High school sweethearts Mridul and Dev have presented me with the amazing memories of their enchanting love tale (ten years in the making) in the whimsical country of India. Every Indian girl dreams of their wedding. 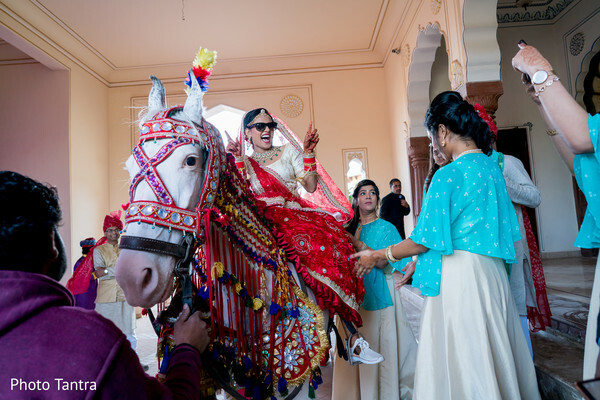 After all, we revel in thoughts of our love riding up on an ivory white horse, see your ladies lead the magnificent baraat, and of course, there is a little bit of fashion and flair. Okay, who am I kidding, there is a lot of beauty that radiates from Indian weddings and I have to ask Mridul and Dev where was my invite by BollyWed Dance? 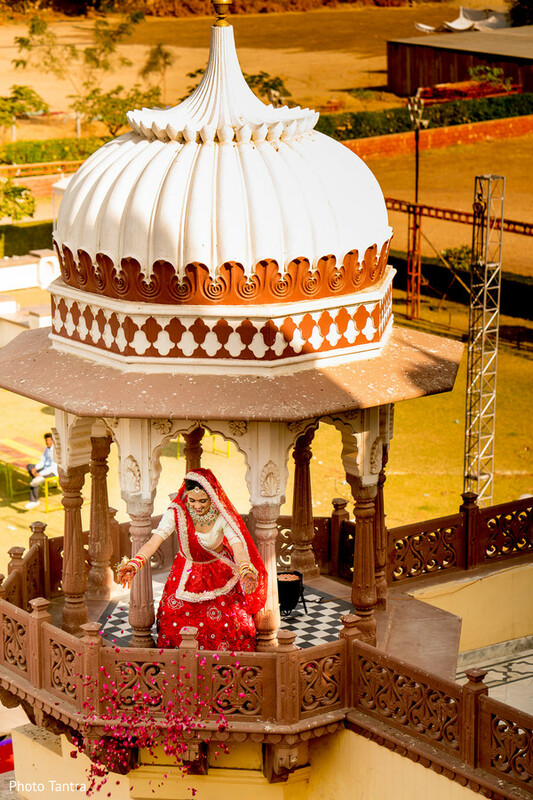 Because, I too would have loved to travel to Jodhpur, India to witness this stunning union. 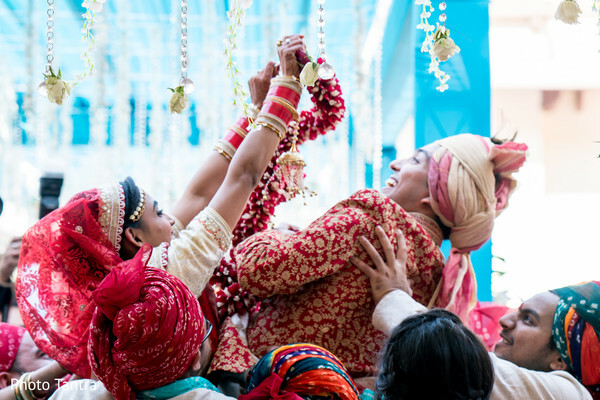 What truly makes this Indian wedding infectious is the wedding design, planning, invite and stationery, and the sangeet choreography and teaching were all done by the bride herself who is the founder of BollyWed Dance. 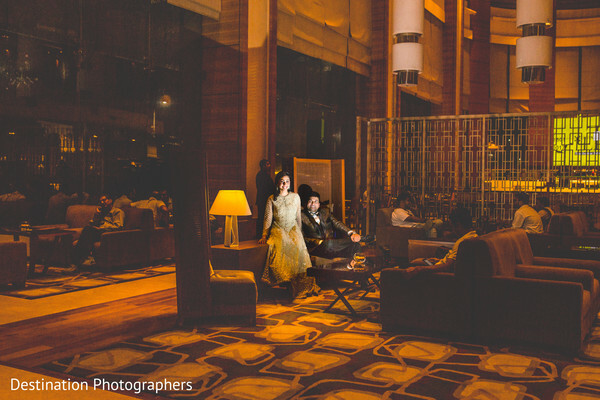 Truly brings a personal vibe in our gallery that I absolutely adore by Photo Tantra. Don't bat a pretty little eyelash; I will return in a twinkle! Today we travel to New Delhi to admire the wonderful wedding film of Sonal and Akash shot by the brilliant team of Knotty Days! 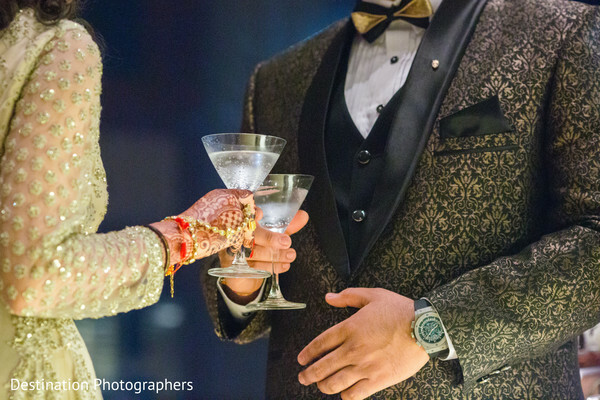 The moving captures showcase the lucky couple during the celebration of their multiple pre-wedding events and the incredibly opulent ceremony and reception held at the Eros Nehru Place! The charming bride, Sonal prepared her stunning bridal look assisted by Annalia Zhimomi who created a radiant makeup and hairstyle that completed the crystal work in her lehenga and the exquisite Hazoorilal jewelry set! 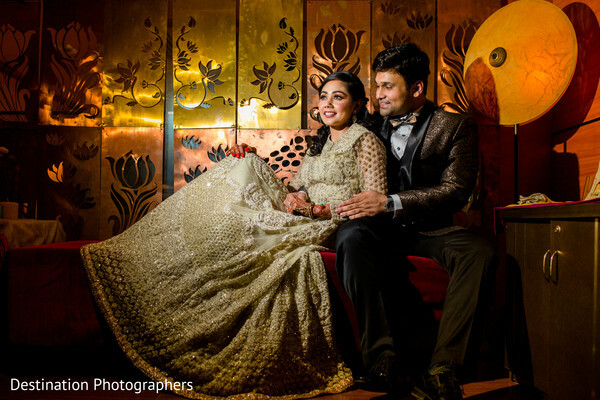 Akash joined his bride on their big day dressed up in an extremely elegant white Sherwani that he later swapped for a ravishing black tuxedo! Rustling Leaves created several scenarios for the core of the festivities, the adorable mandap with rows of drawn crystals beads with up lighting and the fantastic wedding stage that created the perfect ambiance. The final key moment of this grand affair was also embellished with a dreamy white floral arch set up that gave an elegant touch to the joyful soiree! Hit play and check out the compelling wedding film below! I love this cinematographer's style! Let me know if you agree in the comments below! 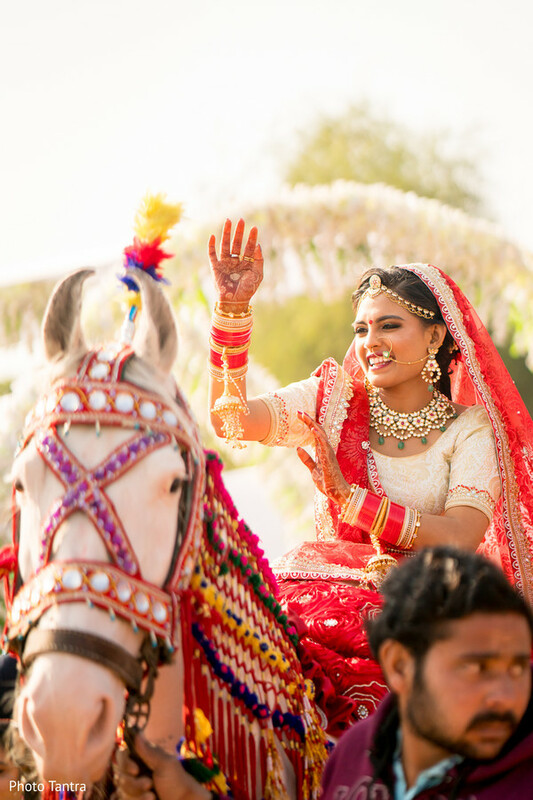 Today I share the unforgettable Indian wedding event honoring Maharani Divya and Nachiket at the Marriott Hotel in Ahmedabad. 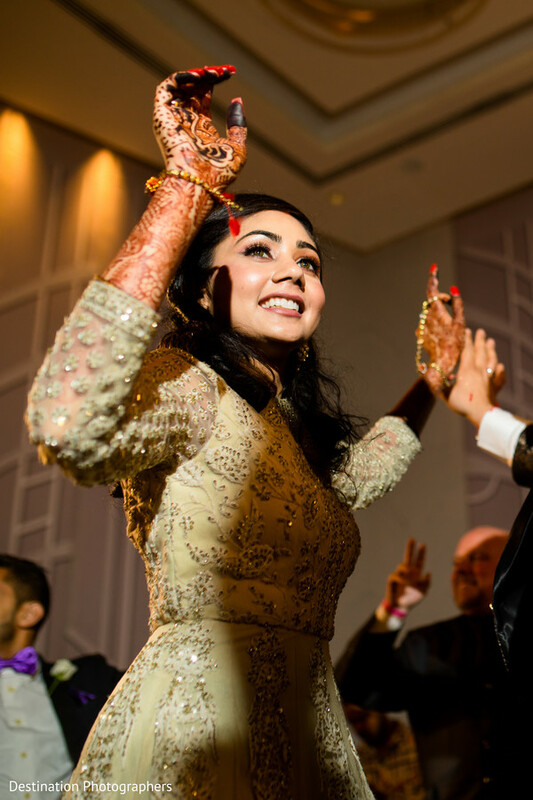 Makeup artist Mansi Thakkar created a fresh-hued look on our bride that was buzzing with energy and excitement. 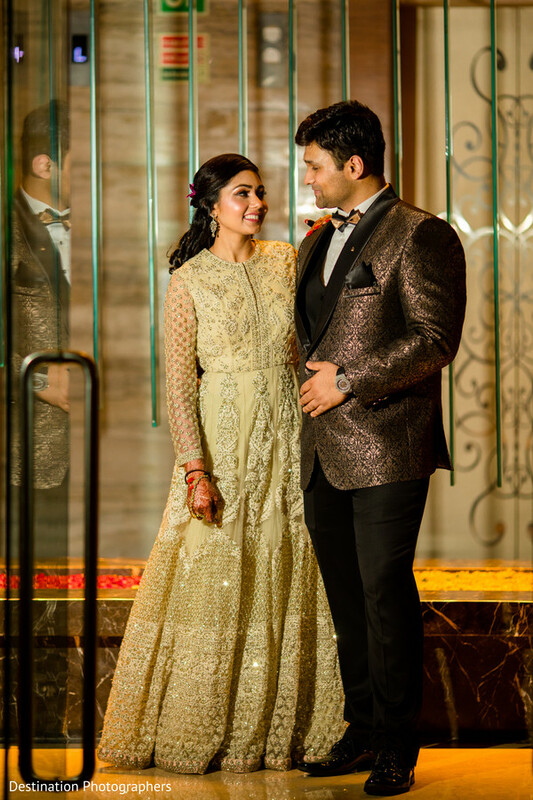 Divya donned a twinkling gold anarkali with neutral hues and bubbly champagne metallics that just brought sophistication to the next level. DJ VEE ensured the crowd was pumped and ready for a full night of memories in this incredible event planned by DP Events. 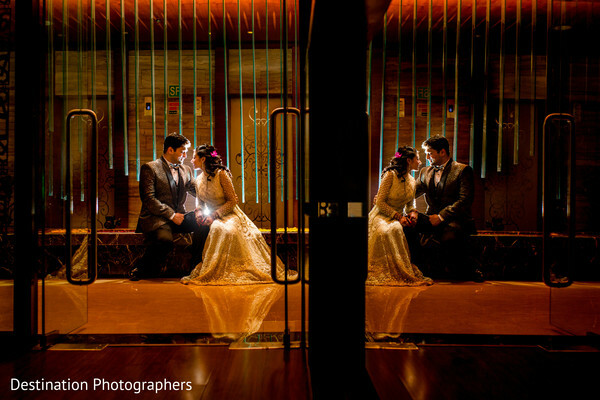 Destination Photographers has curated the perfect set of images to get you through today. Get ready to start pinning, Maharanis! 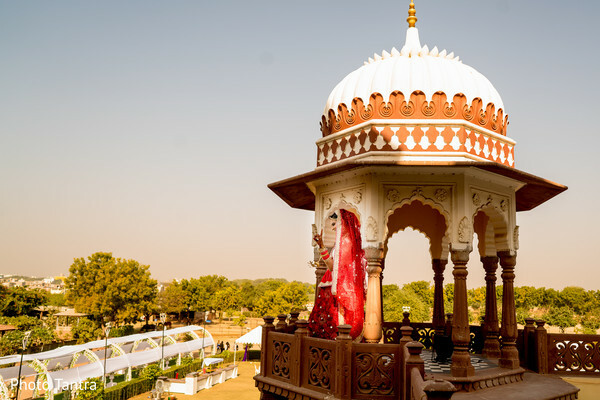 You are in for a celebration full of cultural flair. With its remarkable beauty of stunning architecture and design, I invite you to celebrate love in our gallery. It's almost time for the weekend, join me tomorrow for another dose of love!